It’s so inviting. A romantic and charming atmosphere filled the air. 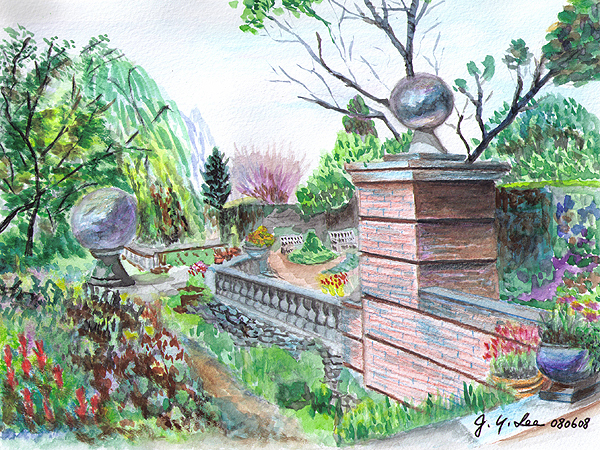 A few steps and a stone path lead to a secret garden full of colors and lives. This is a quite place for reflection.